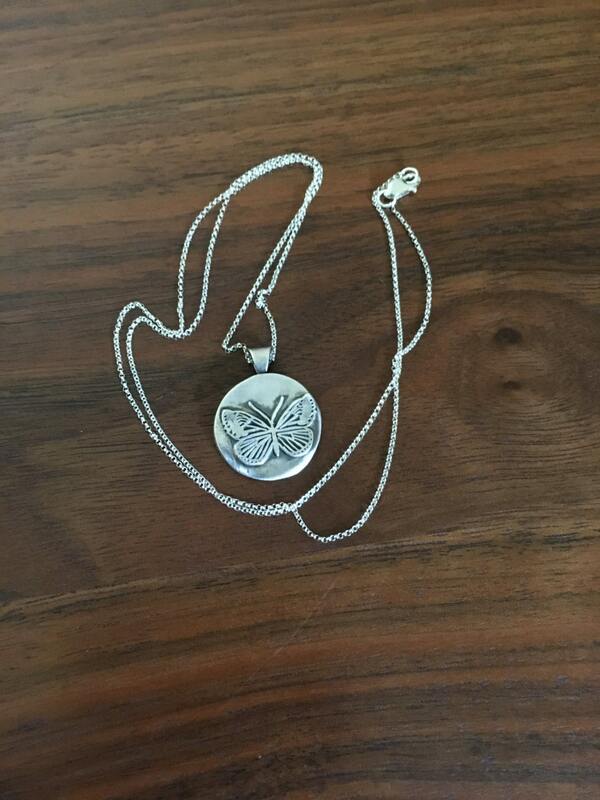 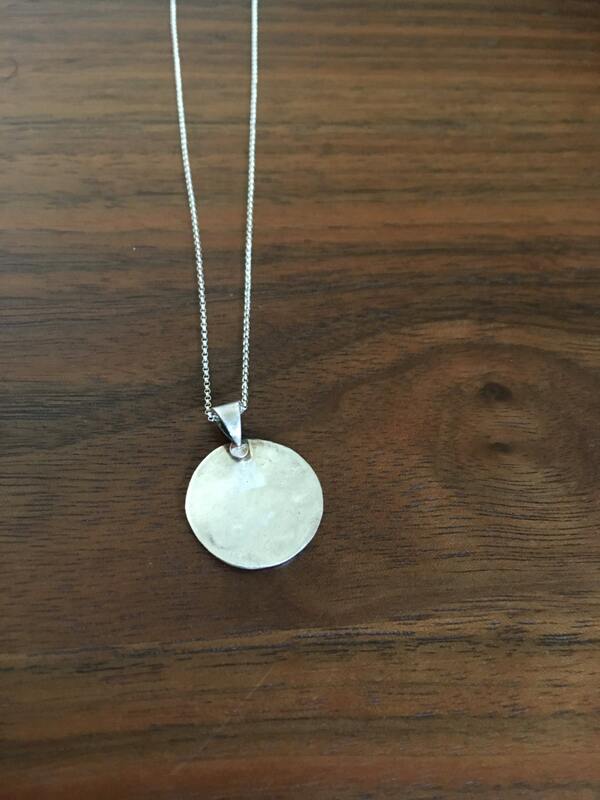 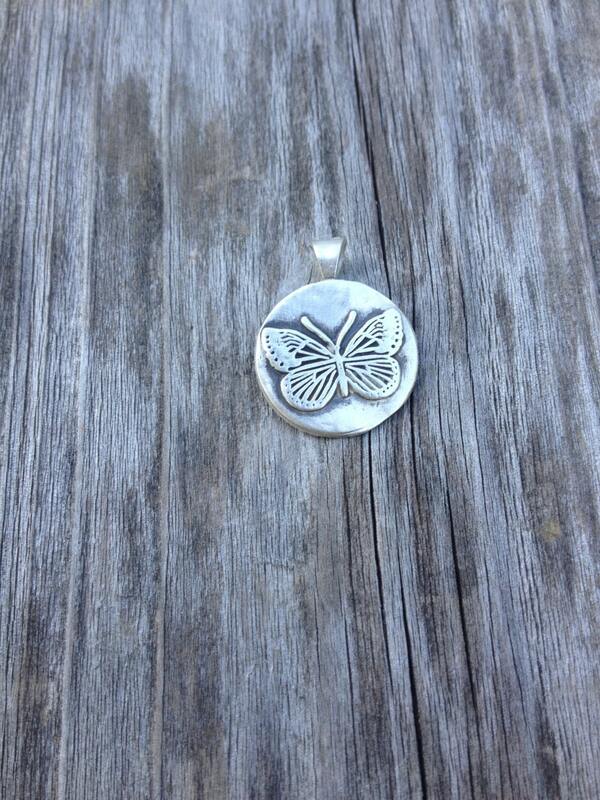 Sweet and small Fine Silver Butterfly pendant with a sterling silver bail. 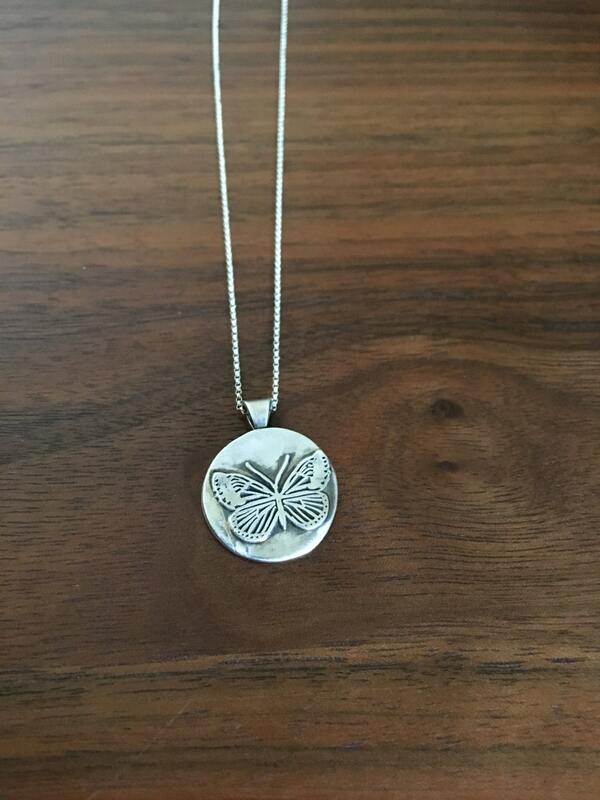 Delicate yet sturdy. 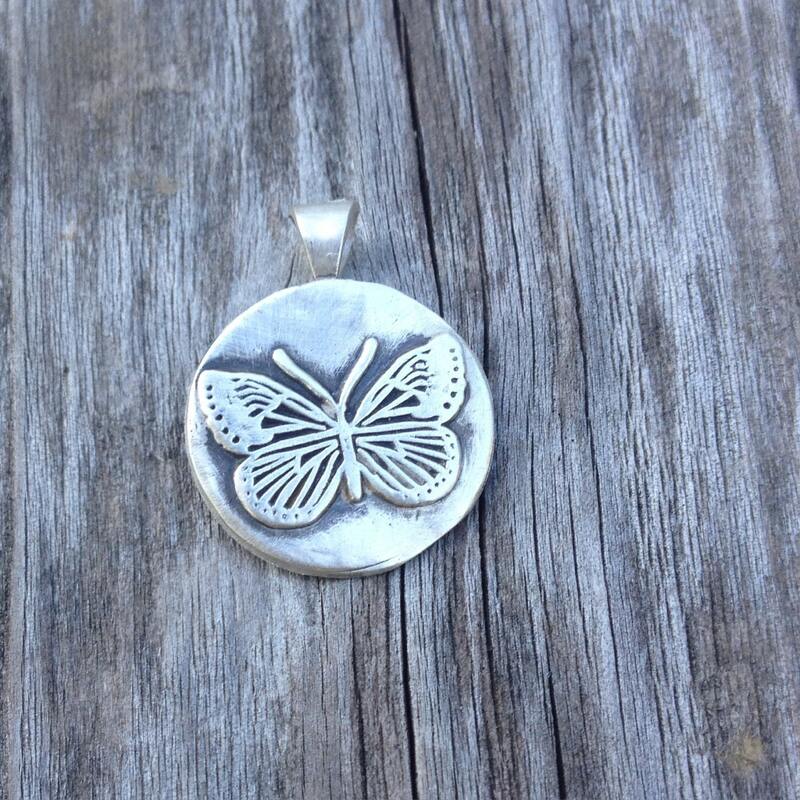 Just over 1/2" in diameter, this small butterfly pendant is incredibly detailed, with an added dark patina to bring the butterfly detail to the forefront.